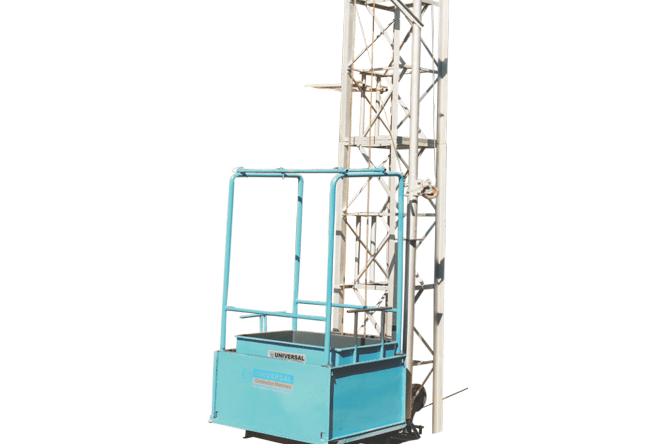 It is a multi-purpose tower hoist (employed for both man and material). 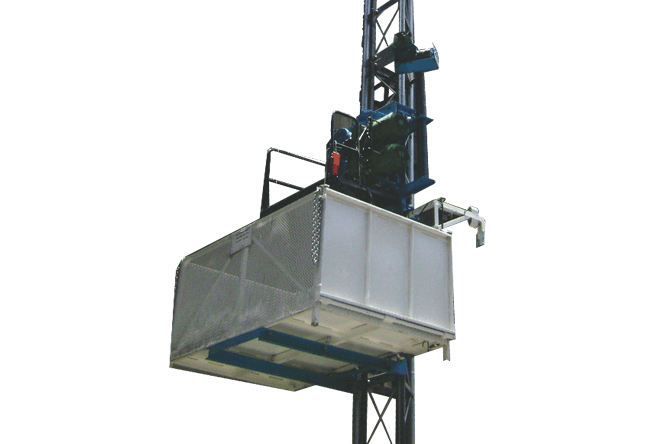 This hoist has a sturdier construction and is available in 10 H.P., 12 H.P. and 20 H.P. variants. 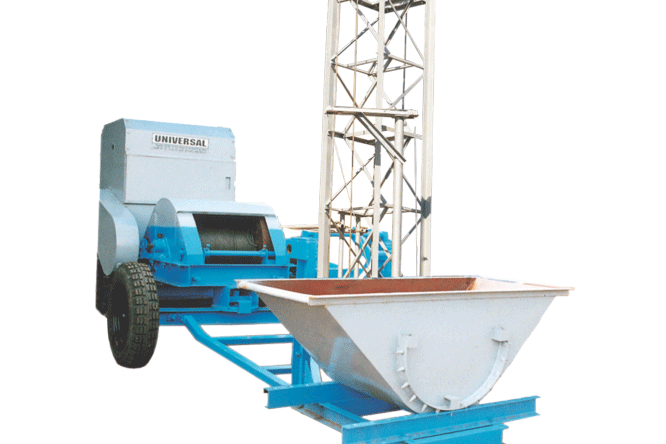 Power source is either a diesel engine or a 3-Phase electric motor. Specifications mentioned below are for 10, 12 and 20 H.P. respectively. Power – 10 H.P. and 12 H.P. and 20 H.P. 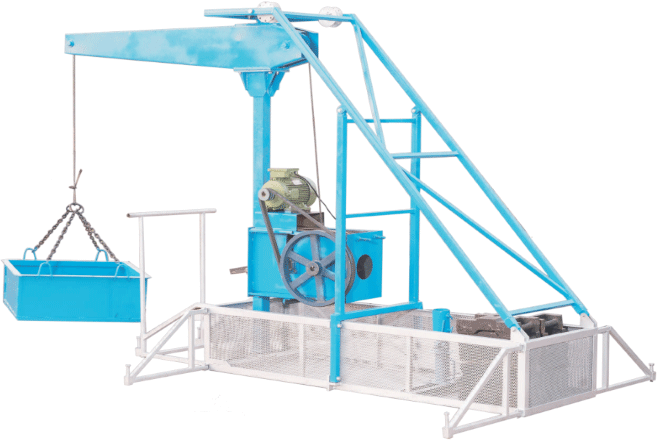 Gross Load Capacity – 600 Kgs. Column – Made in ISA 65 X 65 X 6 mm. 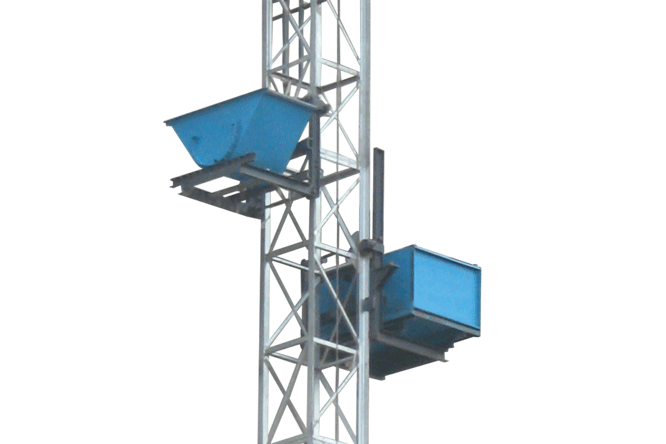 Column Size (L X W X H)- 700 X 700 X 2700 mm. Drive – Friction Roller Type. Wire Rope – 350 Ft., Diameter 10 mm (Steel Core). 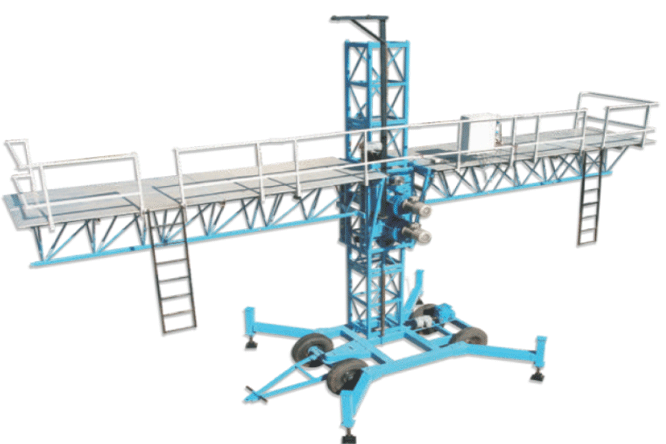 Attachments – Material Handling Platform and Material Carrying Trolley. Max. 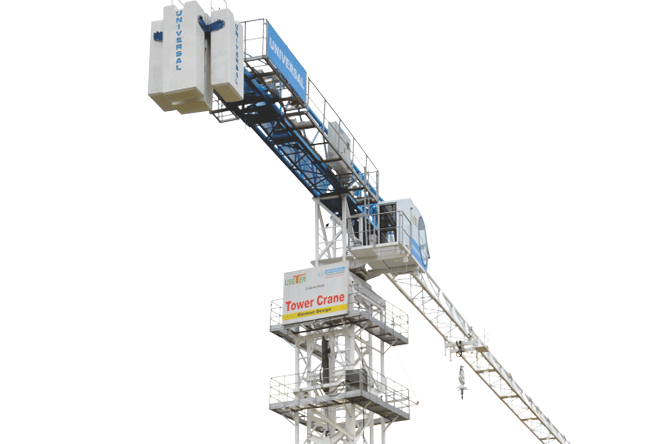 Travel Height – 120 Ft. and 200 Ft. and 300 Ft.